I had to fly home for a funeral in Virginia so I stopped by downtown on my way to RDU for my flight back to Vegas. I really wish I had more time to explore the eastern end of downtown but I was on a tight time table. Fayetteville is much maligned and looked down on but the city itself is one of NC's oldest and has a great amount of history within it. 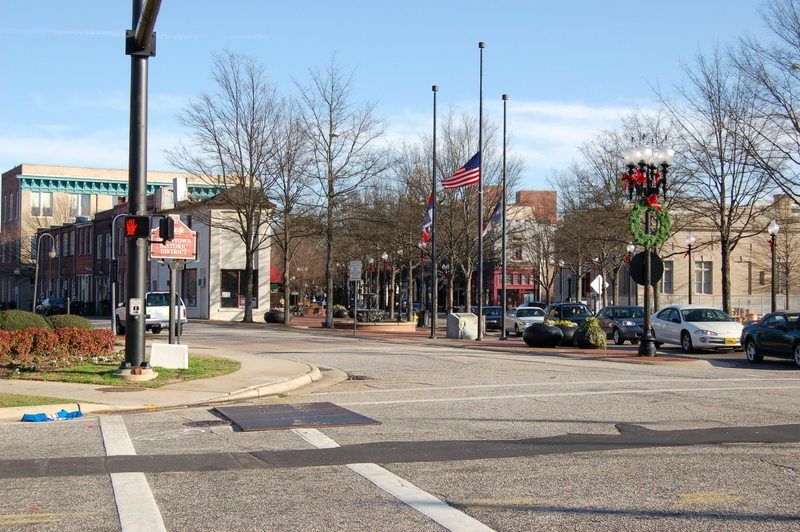 There is a good push to revitalize downtown and the surrounding areas. I for one used to live just up the hill in the historic haymont village. Unfortunately I didn't get any pics of the village but I promise next time I will tell my job to give me at least an extra day. I think I may have to break this down in two parts as I took as many pics as possible in the short amount of time I had. Oh yeah it gave me a chance to try out my new nikon D-50 santa gave me... Ok here we go. Renovated train station. Not the best view as this is the back side of it. New roundabout and spires on ray ave. Starting the rebirth of retail in the downtown district. I noticed antique shops, hardware, candy shops and what is most encouraging is the mix of small business owners returning to the district. Downtown looks very nice. I love the courthouse (or whatever that building is with the clock). Nice pics!! 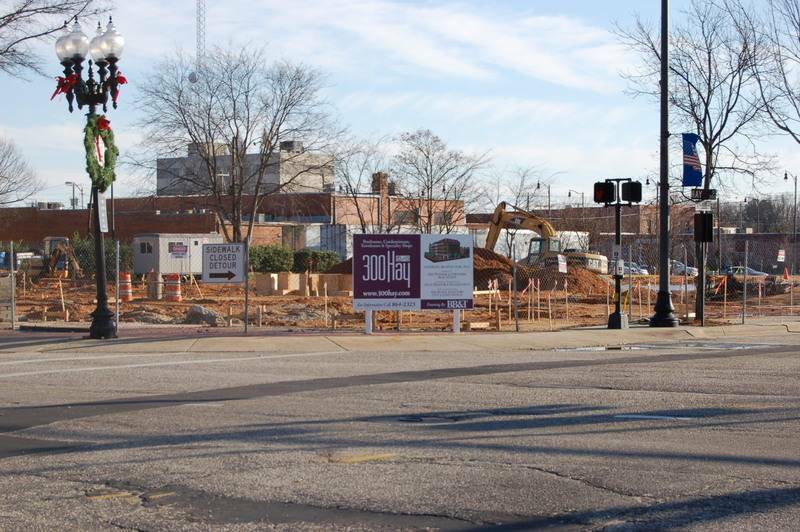 DT Fayetteville looks as if it has a lot of potential! Good stuff. 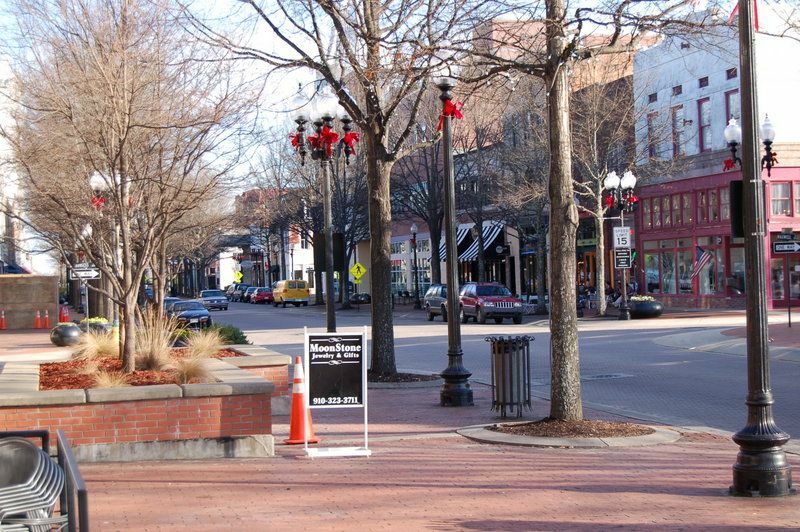 It looks as though Fayetteville has a lot to work with downtown. I make it down there every once in a while and love downtown. You captured downtown pretty good. 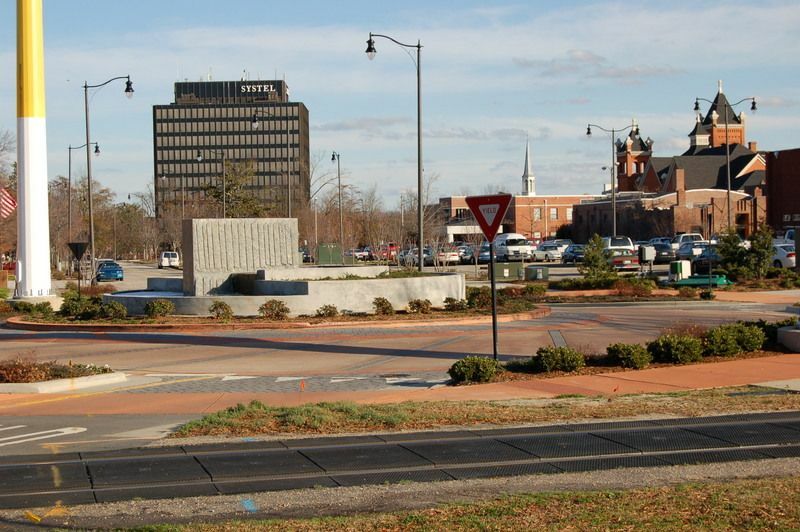 Fayetteville is making great strides to improve itself. 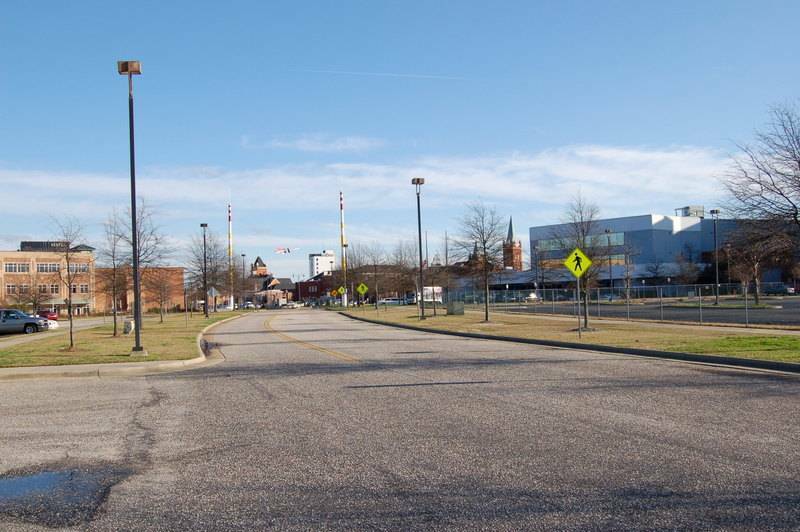 I dont think Fayetteville would look right with skyscrapers, rather low and mid rise structures that blend with the existing buildings. 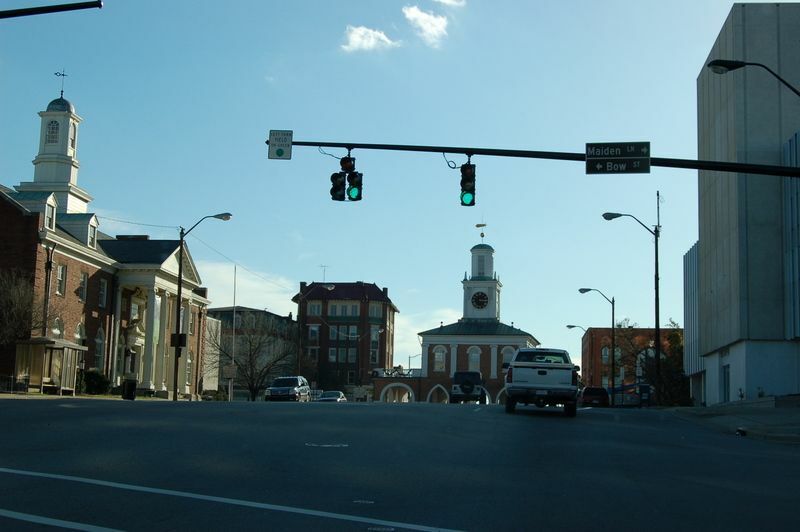 Downtown is VERY walkable and historical. Anyone heard anything about the proposed development along the Cape Fear River? It is pretty close to DT Fayetteville. 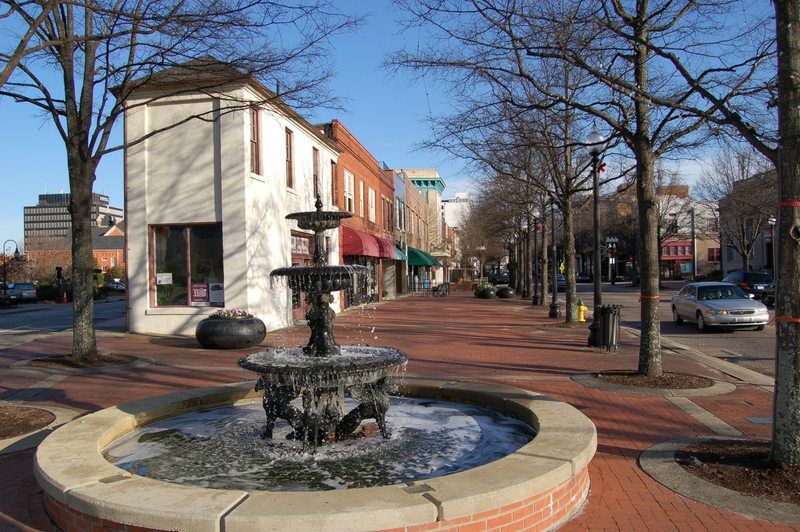 Fayetteville by far has the nicest looking downtown in eastern NC. Really nice historical buildings. In fact, it does not look like NC to me. I am going to have to go there someday. excatly, fayetteville doesnt get attention from the news unless its bad it seems. Dont worry man In about 5 years Fayetteville will be known worldwide very soon. I notice that alot of small business security company is being created in this town. Plus Fayetteville Outer loop starts up again in the begining of next year & with I-73, I-74 being constructed about 20 mins south of Fayetteville. Lets not forget about the 25,000 to 40,000 people will be relocated to this area within 6 years & the rival of East Fayetteville along the Cape Fear River. First, I'd like to say thanks to all of you for supporting our growing downtown. I am the Downtown Development Manager and am glad to see that downtown is being noticed. One correction, though. They didn't sell slaves at the Market House. Share croppers bid their work there and were picked up for a day's work. 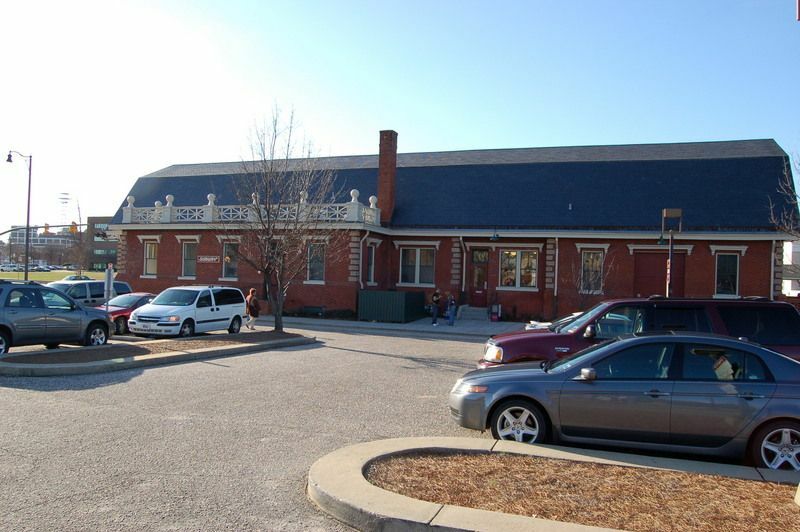 The Market House was also where UNC was formed and where NC was officially signed in as an independent state. The Botanical Gardens also overlook the river. Festival Park Plaza and Festival Park are now complete. This year's Dogwood Festival featured JoJo and the concert was held at Festival Park. The ampitheatre is great and the park was a hit with the community. Though our big projects are great, small business is what makes our downtown a hit. All of our big projects are from local people who love downtown. We are definitly a small business hub and we're proud of that. They came in before anyone and risked all they had to better the downtown and live their dream. Their passion is obvious when you walk into each store. That's what makes us special. We still have property available for development but it's do or die time now. We want investors who are experienced. We believe in public/private partnerships if the project will increase the tax base and better our community. highway 74, is being made into an interstate? i wonder how that'll effect, fayetteville, lumberton and such with the cross of i95 and now i74, would be great for it to help lumberton to grow and maybe saint pauls, give the fayetteville region more attention i'd think, reading on that other thread about the history of the carolina cities and everyone kept going on about charlotte and such, but looking at the very begining, it wasnt charlotte, raleigh nor greensboro, new bern and fayetteville were the big boys of north carolina, i just wish fayetteville got the recognition it deserves with its population, history, its military presence (some see it in a bad light, i did too, but it does have its good points) and other such things.